Image copyright © Lyn Winans All Rights Reserved. Unauthorized copying or use is strictly prohibited. Fantastic action shot, Lyn. Congrats on your win. What a great capture! Congrats! This is an awesome capture. Congratulations on your POTD! Wow...truly amazing! Fantastic stop action timing of the kayakers with wonderful color and showing great flair with their skills! Congratulations on your win today! Great shot! Excellent timing to get ths action. Congratulations on the POTD. Great action shot, Lyn! And congrats on your POTD! Perfect timing! I love the look on his face! Just so great, timing and clarity and colors and comp.....love the water wall, very beautiful! Congratulations, Lyn! Super action shot -- congratulations on a well-deserved POTD! Wow Lynn! This is a top notch shot..perfect timing, action and expression! Color& clarity wonderful as well!! A fine win!! Congrats!!! 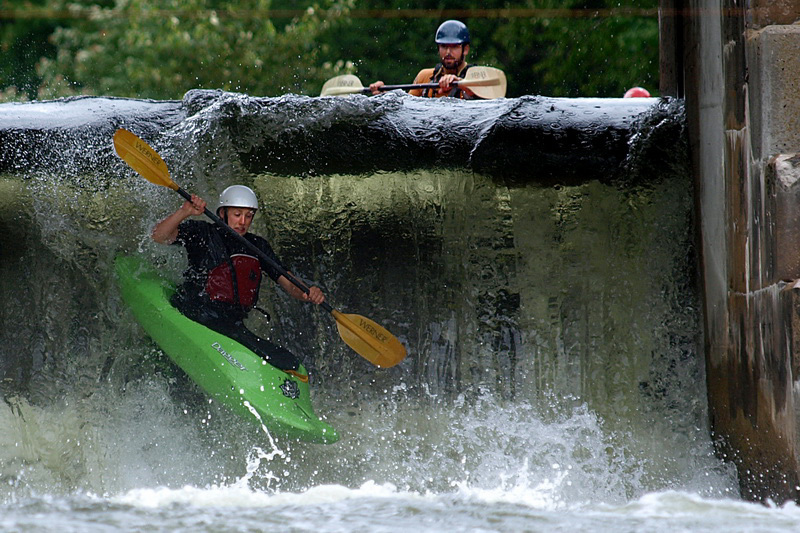 A wonderfully timed capture so filled with interest showing the intensive precision and skill of a seasoned kayaker. I love the perspective too. Congrats on a terrific entry for the category, Lyn! Great capture and very nicely done; Congratulations Lyn! An excellent action shot, Lyn. For me this picture is the best POTD in this category. Congratulations! An amazing action capture, Lyn! Perfect for the theme! Congratulations! Page generated in 01.0645 seconds.